Many years ago, my husband and I were sad about the end of summer, and he suggested we head out to the Renaissance Festival. We spent a lovely day immersed in a world of knights, fairies, turkey drumsticks and giant pickles. For one day, we could leave reality behind and be anyone we wanted to be. That year, a family tradition was born. Today, we just returned from our seventeenth year in a row of attending the Renaissance Festival. As a family, we dress up--as pirates, princesses, archers--my husband finally has worn a kilt the last two years. We have our favorite shows--most of them involving fire. We love seeing Tuey, the fire juggler who balances a ladder on a flaming tightrope strung between two trees. We also love watching and listening to the Fandazzi Fire Dancers, who not only dance in and around fire, but also breathe it. 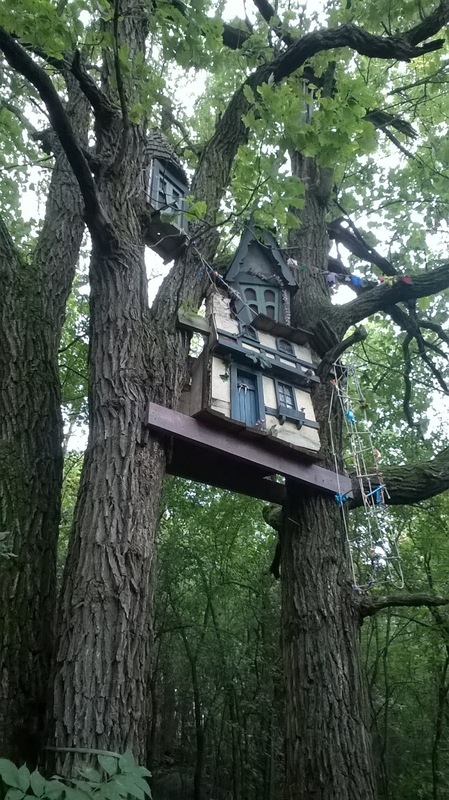 We take a much-needed shady stroll through the Fairy Forest, and stop to find all the fairy houses. My youngest always insists we stop by Mermaid Cove for a sparkly jewel, and I make sure we get to the jousting match. Where else can you see real men in armor riding real horses and jousting? There are always special events to check out, as well, and we often meet assorted friends and relatives at RenFest. Last year, I was even blessed to run into my best friend from elementary and high school, which led to us having lunch or dinner every month or two this last year. 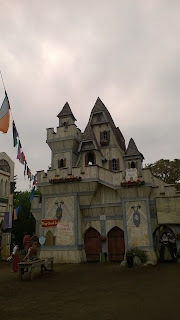 Maybe I love the Renaissance Festival because I haven't quite grown up, or maybe I love it because I write fantasy. Maybe I look forward to running into friends and family--I'm not really sure. I just know, for one day a year, I can wear a fancy dress, be addressed as "My Lady," listen to amazing live music (there was a band from Belarus this year), and walk around with my family--the people I love most in the world. What family traditions do you have? What do you like best about them? 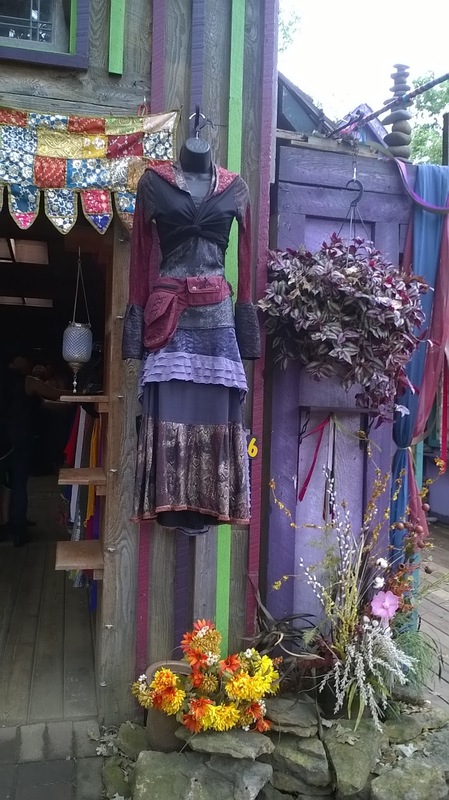 This post really made me want to go to a Renaissance Fair, not that I didn't already want to. :) One of my family's best traditions (in my opinion) is getting a live Christmas tree every year, specifically a Noble Fir. It's been more of a challenge the past few years since we don't live in the Evergreen State anymore, but it's still so worth it. I've always wanted to go to a tree farm where you can pick your own tree, but we stick to artificial these days, as my husband is allergic. I do find Christmas traditions wonderful, too, though! Thanks, Brenna! Fun post, Erin! We went to the Renaissance Festival once and I found it pretty overwhelming, but I think I would enjoy it more if we dressed up for it and had more of a chance to figure out where everything is. I'm glad you had such a great time! Our family doesn't have too many traditions like that yet, since big outings are hard with little kids, but growing up we always got tickets to a Brewers game every summer (I grew up in Wisconsin). I'm not a huge baseball fan, but the atmosphere and the outing itself were always a lot of fun and made for some great memories! : ) It can be huge and overwhelming--we have walked back and forth and backtracked in rain and mud or hot sun many times. At this point, we have our favorites, and we were even pretty efficient with our routes this year! Let me know if you ever want a personalized Ren. Festival plan! It is more fun with slightly older kids, too. I love the Renaissance Festival! What a fun family tradition!